What approach should a small business take to social media? How do you create a culture whereby everybody needs to ‘up their game’ all the time? In this lesson, Brian MacNeice, an expert on driving improvements in performance focus and culture in high performing organisations discusses the gap between the best and worst performers. Grant Leboff: So Brian, one of the things you talk about in the book, which I found really fascinating was the idea of the performance gap. I’d like you explain that for the audience. Brian MacNeice: I love this concept because it’s something that actually, I haven’t come across. It’s not something that gets talked about enough a lot in the context of high-performing organizations. So one of the things we discovered through the research that we did with the organizations that we studied was that the performance gap, the relative gap between the best performer in an environment and the worst performer in an environment has a significant impact on the performance of a team or the organization as a whole. The wider the gap, the more likely it is the performance over time is going to fall. The reason for that is because you start getting complacent about performance. The high performers aren’t pushed by other people within the environment. They get intensely frustrated at carrying some of the people that aren’t performing at the same level that they are. Whereas the people performing at the lower end of that scale, tend not to shift not an awful lot because probably the reason that they’re there in the first place is they’re really not being performance managed in an effective way. Whereas what we found with a lot of the organizations that we studied was the performance gap was really tight. The gap between the best and worst performer is very, very narrow. As a consequence, that creates a performance pressure that’s constant. That means everybody needs to be on their game all the time. So were we saw this, the Curtis Institute of Music, for example, in Philadelphia. Where the gap between the best student and the worst student is unbelievably tight. I sat in on some classes that they students were doing and I couldn’t tell the difference. To me, they were all outstandingly brilliant. But the teachers, the tutors could tell. Yeah, there’s a best performer and a worst performer in this class. However, the gap between them is very tight. As a consequence of that, everybody in the class constantly has to be on their game all the time in order to survive in this environment. You find that is something that is a pattern that is repeated in high-performing organizations. Grant Leboff: If someone’s watching this and they are looking at their organization. They think well actually, we’ve never thought about it like this. I certainly haven’t and I read it in the book. But the gap between the best and the worst is perhaps, too wide. Grant Leboff: How do you go about, because why don’t we get rid of all the worse ones and recruit new people? It’s not that simple is it? So how do you go about closing that gap? Brian MacNeice: For me, it’s a management challenge. The reason that the gap is wide in the first instance is it’s a dereliction of management. One of the things you do is you start managing those people that are below what I call, an acceptable zone of performance. One of the ways in which you do that is actually to find what an acceptable zone of performance looks like. Here’s where we’re trying to get to. Here’s the kind of ambition for what we have. Row by row, in terms of where we want you performing. Here is the point of which it becomes unacceptable. Anything below this level of performance is not acceptable within this environment. What you find is, one, when you define that explicitly in the first instance, most people are capable of actually performing within that acceptable zone of performance. Where you find people consistently below that, then you have conversations about what’s going on here? What’s missing? Is it a capability issue? How do we work with you to increase your capability to get you into an acceptable zone of performance? Is it a motivation issue? What’s missing if that’s the case? But be very clear that we’re not going to allow people to reside in a place that is below what we have defined as an acceptable zone of performance. Over time, you tighten that gap so that you can close the gap between the best and worst performers in your environment and your organization. Once you do that, all boats float with the rising tide. As you find that gap closes, performance of the organization itself, or teams within the organization itself will improve over time. Grant Leboff: Does then, the logical thing that happen is the acceptable place of performance, that moves up as well? Grant Leboff: That gets held up to a higher standard. Brian MacNeice: That’s exactly what happens. We’ve done this on hundreds of occasions with clients. One great example is with a sales team where we were working with, where there was a variability of performance within the sales team. We made the performance of that sales team much more transparent across the group. We shined the light on those that were under performing. We showed them what good performance looks like and we made it very clear that continued poor performance was not going to be accepted. What you found within that sales team, all of the sales people who were below the acceptable zone of performance were capable of transitioning to get up to that point were they were with in that zone. In other words, the performance gap tightened. What happened within an 18 month period in that particular organization, sales doubled. Why? Because the better [sic] performers were now in the acceptable zone of performance. There was now performance pressure on the top performers to stay on top. So everybody improved over a period of time. As I say, sales doubled in the organization. A great example of the performance gap in action. 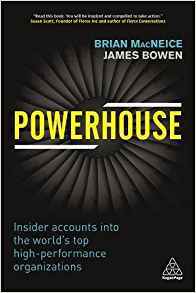 Insider Accounts into the World’s Top High-performance Organizations. Brian is an expert in high performance and advises leading Irish and international clients on driving improvements in performance focus and culture. He was previously the founding Director of Genesis Ireland and led many of Genesis’ engagements with business clients and leading sports organisations. What more do market leaders need to do to maintain their performance advantage? In this lesson, Brian MacNeice discusses the characteristics of successful organizations that are continually striving to improve and to keep getting better. To remain consistently successful, every high performing organization ideally needs a team that works effectively together. In this lesson, Brian MacNeice, an expert on driving improvements in performance focus and culture in high performing organisations discusses the insights that he gleaned into teamwork from looking at the organisations he studied. How do you engage in a meaningful way to make it really work? In this lesson, Brian MacNeice, an expert on driving improvements in performance focus and culture in high performing organisations demonstrates that the best leaders do not engage from behind a desk. You may be resilient as a person, but is your organisation resilient? In this lesson, Brian MacNeice, an expert on driving improvements in performance focus and culture in high performing organisations, defines what it is to be a resilient organisation. Governance is necessarily all about bureaucracy and the paperwork. In this lesson, Brian MacNeice, an expert on driving improvements in performance focus and culture in high performing organisations identifies three types of governance; strategic, regulatory and accommodating governance. How do you create a culture whereby everybody needs to ‘up their game’ all the time? In this lesson, Brian MacNeice, discusses the gap between the best and worst performers. 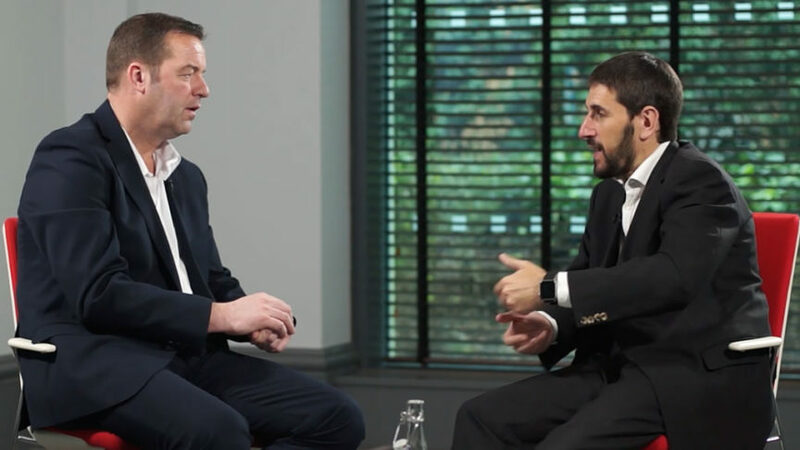 Brian MacNeice, an expert on driving improvements in performance focus and culture in high performing organisations discusses why keeping people connected to the measures that really matter, are a really important element of any high performing organization. In this lesson, Brian MacNeice, an expert on driving improvements in performance focus and culture in high performing organisations, discusses one of the elements that creates the condition for long-term performance advantage over your competitors. Is your organisation constantly asking how it can we do more and how it can challenge its people to think in different ways?" In this lesson, Brian MacNeice, discusses the characteristics of exceptional enterprises and what he has labelled "unreasonable ambition." How do you create a culture whereby everybody needs to ‘up their game’ all the time? In this lesson, Brian MacNeice discusses the gap between the best and worst performers.